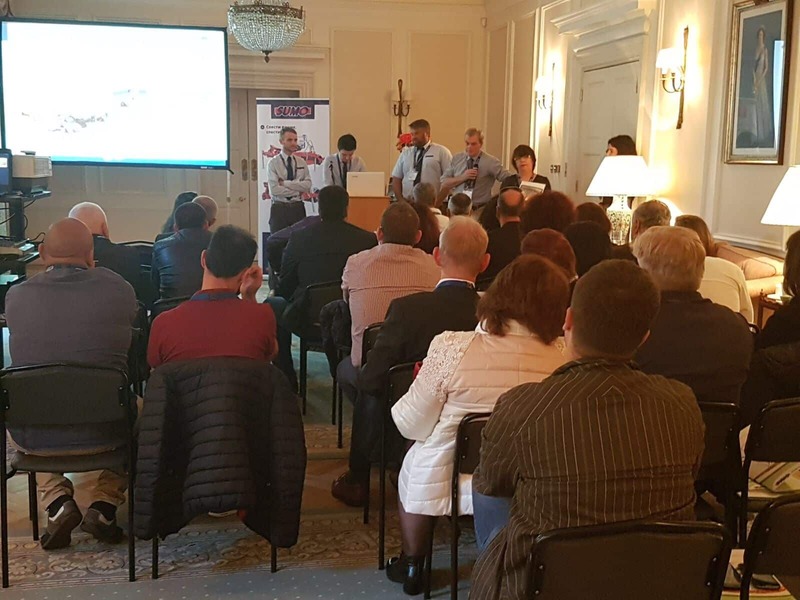 Last week, members of the Sumo Export Team presented the Sumo product range to key players in Bulgarian agriculture in conjunction with the British Embassy in Sofia, with H.E. Emma Hopkins OBE in attendance. Special thanks to John Smith, Sumo dealer (Louth Tractors), customer and farmer, for joining us to talk about his experiences with our machinery. The farmers in the audience were particularly interested in hearing about his journey with Sumo. We are very proud to be expanding our presence in the Balkan Region and beyond. The team presents our product range. On 12 October 2017 the Department for International Trade and the British Ambassador to Bulgaria, H.E. 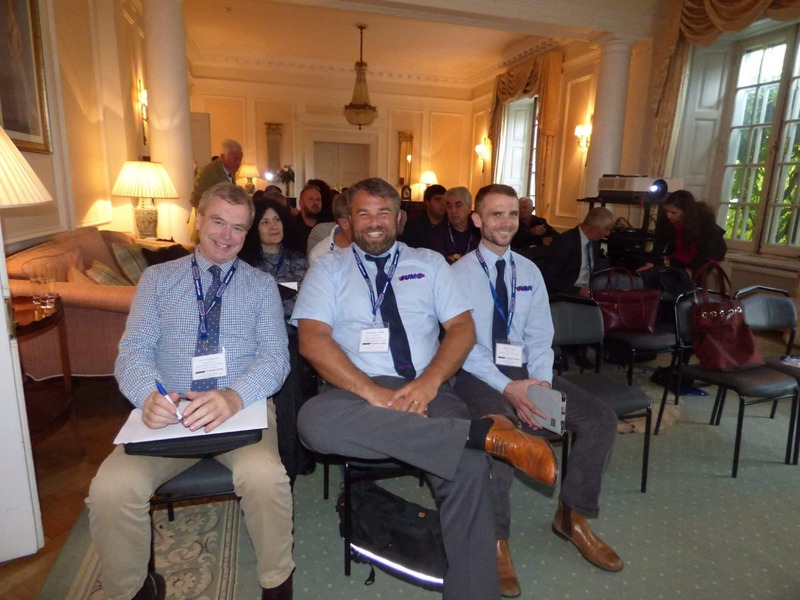 Mrs Emma Hopkins OBE presented SUMO UK Ltd in Bulgaria. SUMO UK Ltd is a British agricultural company specialising in the design and manufacture of drilling and cultivation machinery, employed all over the world. Welcome to my Residence today! 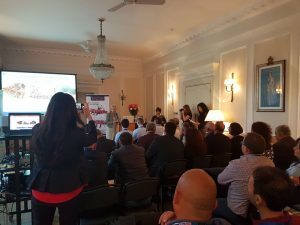 Thank you very much for taking the time to join us for the official presentation of Sumo UK in Bulgaria, especially in such a busy season for all of you! Driven by global changes in rising population, rapid development of emerging economies and shortages of resources, the UK stands as a strong leader in the production of agricultural technology and machinery. As part of the official event, SUMO UK team presented additional information about the company and their rich product portfolio. H.E. Emma Hopkins opens the event. A special guest of the event was a British farmer who shared his experience with SUMO UK and exchanged best practice with the local representatives and Bulgarian farmers. The event finished off with cocktails, during which guests enjoyed a fruitful discussion on the most successful product of SUMO UK- the flagship Trio- and the latest technologies and tendencies in the agriculture sector.